“Wow!” It was said both as an exclamation and a prayer. The road from Sant Julia de Loria on the valley floor was a series of hairpin switchbacks on a narrow road. At several points, I navigated the car around the steep corners on faith. I couldn’t actually see the road under us. On both sides of the valley, peaks towered above us. Our destination was the Casa Auvinya winery perched on the side of a mountain in the tiny mountain principality of Andorra. Andorra has a long history of agriculture. The primary crop in the country is tobacco, which is highly prized in Europe. We arrived just weeks after the entire yearly production of Andorran tobacco was auctioned off in a matter of hours to record prices. And Andorra beef is sought after as a delicacy. But, the principality of Andorra is not known for wine. 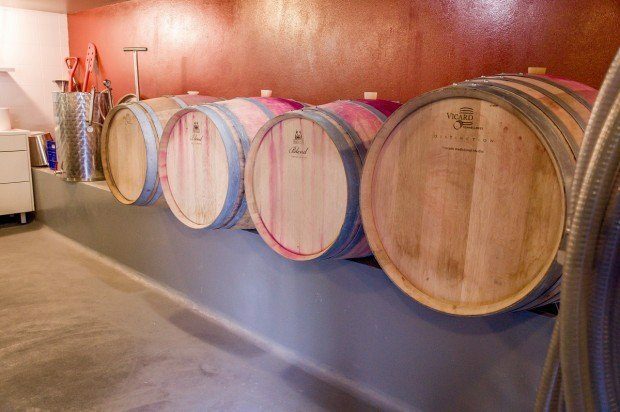 There are only five wineries in the entire country. 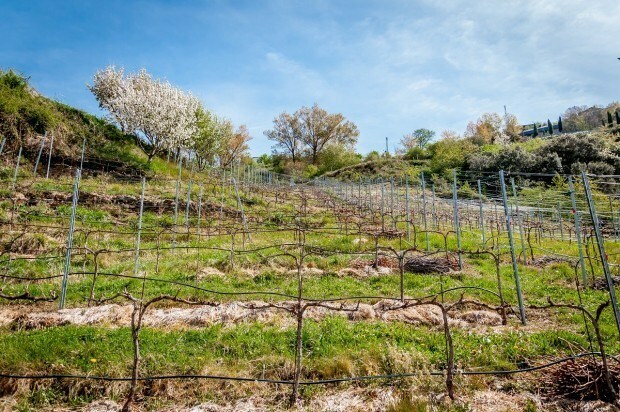 However, Andorra is sandwiched between two great wine producing regions: the Cava houses of Catalonia in Spain and the old vines of Languedoc in Southern France. Both regions are known for producing sparkling white and rose wines. Our expectations of Andorran wine were not high, but the vintners in Andorra have learned a thing or two from their neighbors. Viticulture came to Andorra in 1988 as an experiment. The first vineyard was Casa Beal, which began producing in 2006 a white wine called “Cim del Cal” – a Gewurztraminer with light, natural sparkles. It is very much in the style of neighboring wine regions. We weren’t able to visit Casa Beal, but we were also looking for something fresh and unusual. 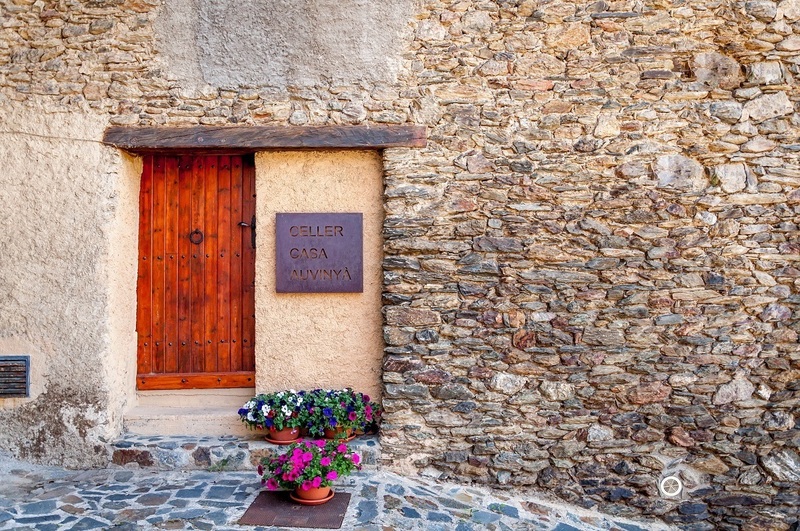 We stumbled on Casa Auvinya, the first producer of red wines in Andorra. Actually, we didn’t stumble on Casa Auvinya. Nobody stumbles on Casa Auvinya. It’s so far up the steep mountain that you have to search for it. Before visiting the Caldea INUU spa, we committed to visiting and were rewarded. Terroir. I can’t think of a more over-used and mis-understood word in wine. But I’ve never been to a winery that more clearly represents the terroir than Casa Auvinya. The vines grow on the eastern slope of the mountain and are bathed in sun. The valley is blessed with both warming winds from Spain and cooling winds from high in the Pyrenees. 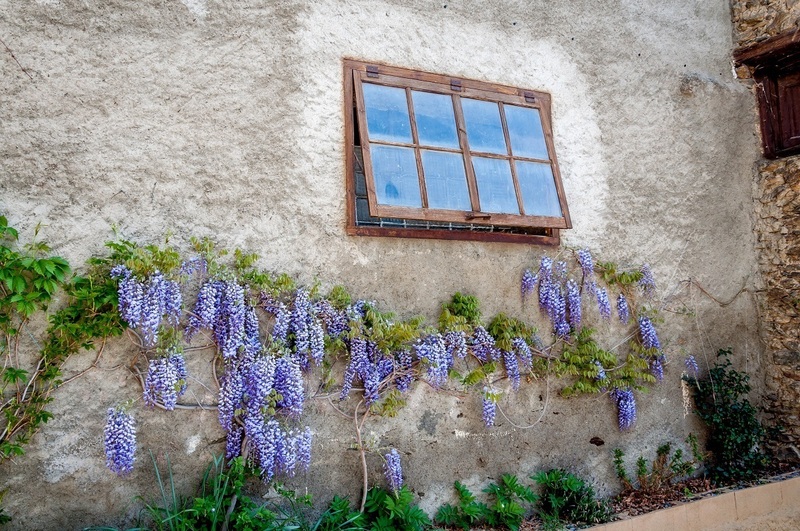 The natural schist stone in the soil imparts a strong acidity to the wines. Everything about Casa Auvinya’s location is perfect and everything about the location impacts the wine. The winery brings craft to new heights – all production is done by hand. There is no room for machines on the steep mountain sides. They produce just 1200 kilos of grapes from 5000 vines. 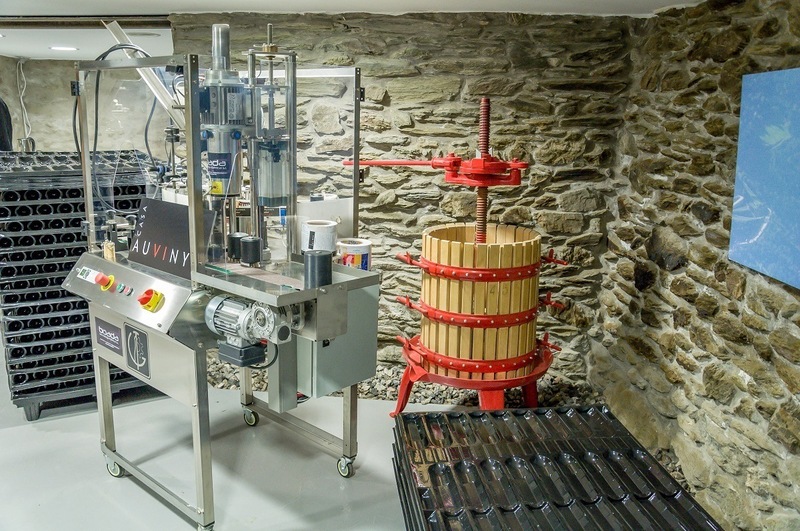 Casa Auvinya produces a Viognier-based snow wine they call Imagine. 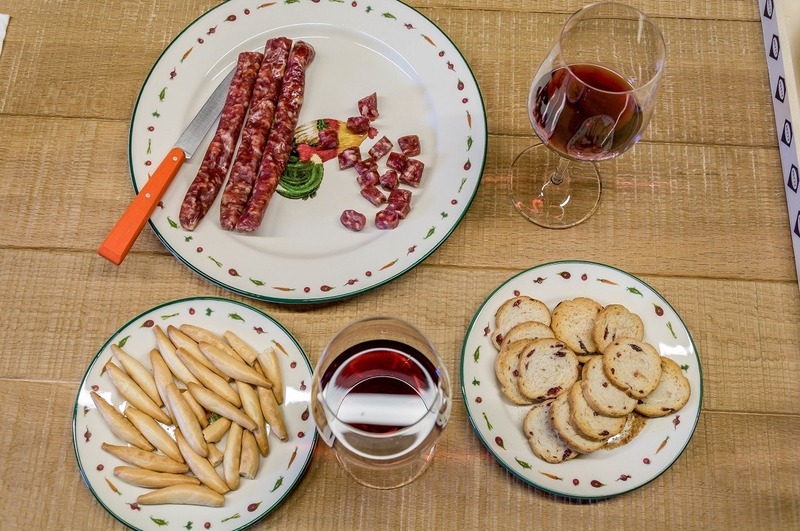 But the real stars here are the dual red varietals marketed under the Evolucio line – a Pinot Noir and a Syrah. The Pinot was a standout. The strong acidity of the soil comes through and mellows the pepper notes almost completely. After aging for five months in French Oak, the Pinot emerges earthy, with slight blackberry notes. Sitting in the tasting room of Casa Auvinya and looking through the open door out at the Pyrenees Mountains, we had one more reason to say, “Wow!” Our expectations of Andorran wine were not high, but maybe they should have been. 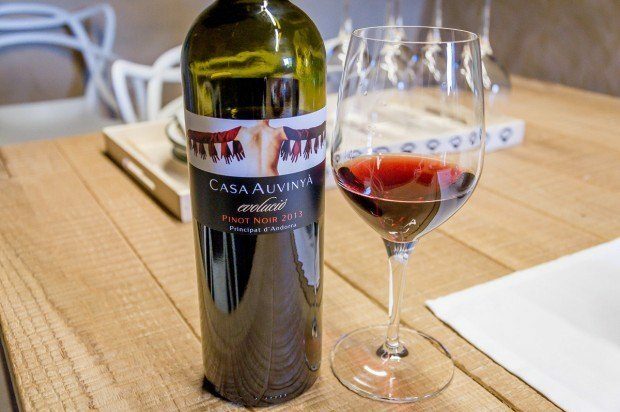 Wineries like Casa Auvinya are producing beautiful vintages from their soaring mountainous vineyards.